The asMODus Triad Genesis is our first Genesis style atomizer to be released and with its triple styled velocity deck, is sure to impress any avid builder. The Triad Series Rebuildables are the first Tri Posted styled atomizers on the market. The Triad Genesis not only has room for 3 coils, but it also has 3 well ports to keep fluid easily fueled into your build. 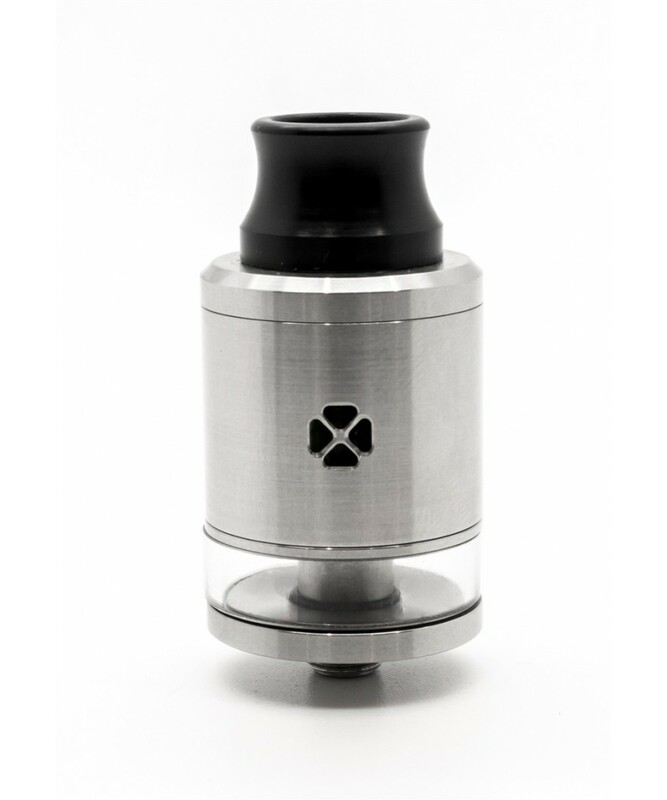 The Triad Geni is made from high quality stainless steel. The Triad RDTA is the 2nd atomizer we've released which has our new Triad 3 Point Post Design. The Triad 3 Point Post Design is a unique deck that was made to accommodate 3x vertical coils. Vertical coils help prevent juice spit back to your mouth. The most notable feature of the Triad 3 Point Post Design is its building potential. The deck has enlarged post holes and has a diameter of 24mm which provides a large building space. Implementation of the Triad 3 Point Post Design to a genesis style platform is the perfect way to utilize the triple vertical coil system. The Triad Genesis features adjustable side airflow that can be easily changed based on user preference for a fine-tuned, customized intake. The Triad Genesis also features a heat resistant Delrin wire bore drip tip for minimizing any heat transfer to your mouth during use. 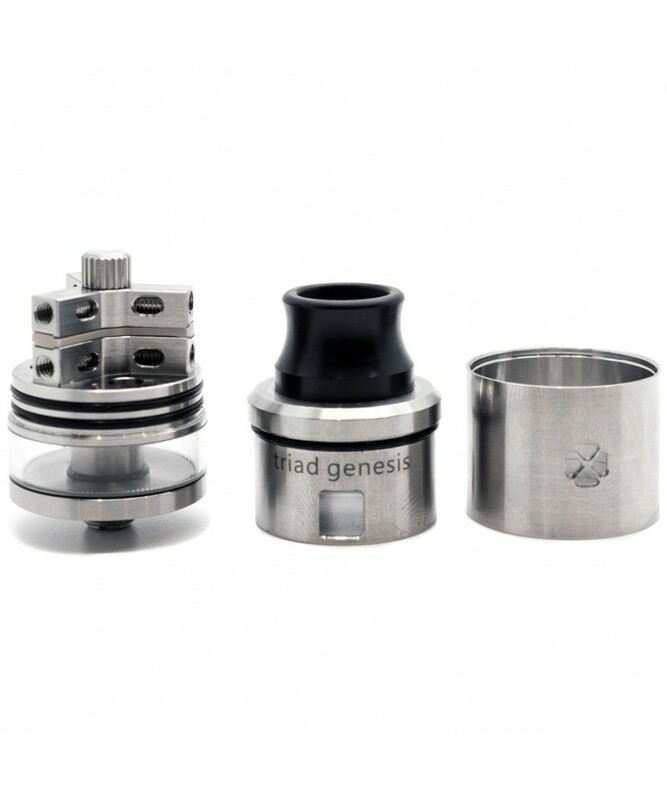 Juice is fed into the Triad Genesis via its 3 wicking holes which sip directly from the reservoir located at the base of the RDTA. The reservoir is encased in a clear glass tube which allows the user to view how much juice remains in its reserves..